Located in Serbia, the Prvi Partizan's ammunition plant supplies ammo to national militaries all over the world. 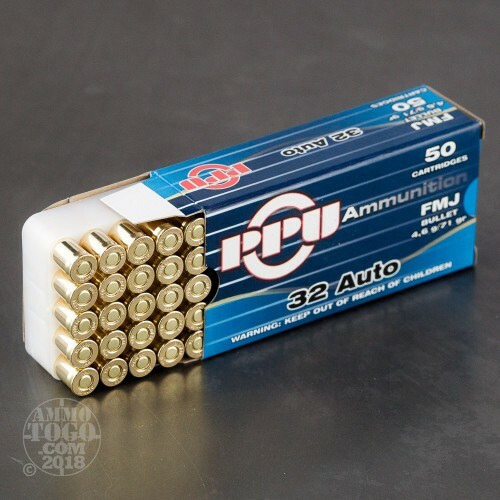 Also, manufacturing custom ammunition for competition shooting and big game hunting, Prvi Partizan uses cutting edge technology and a modern production facility to produce high-quality munitions that perform comparably to many popular brands. All Prvi Partizan products meet SAAMI guidelines and undergo stringent internal quality control to ensure they deliver high-quality ammo you can rely on. 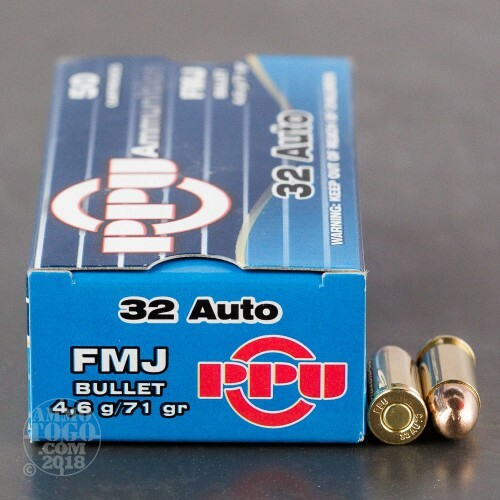 This package contains 50 rounds of .32 Auto ammunition. Each round is loaded with a 71 grain full metal jacket (FMJ) projectile. 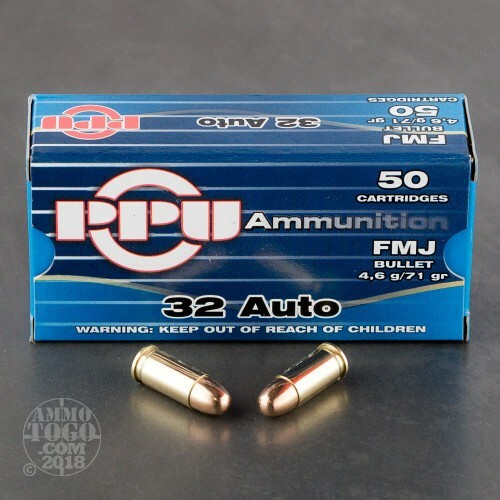 These general purpose loads are suitable for use in all auto loading pistols, providing excellent feeding, zero expansion, and impressive penetration. 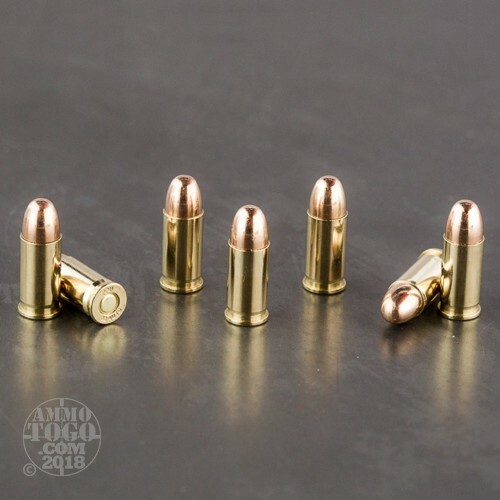 Delivering incredible accuracy, these affordable rounds are perfect for target shooting and tactical drills. These loads are new production and feature non-corrosive boxer primers and reloadable brass casings. Each round produces a consistent muzzle energy of 902 feet per second and a muzzle energy of 129 foot pounds.